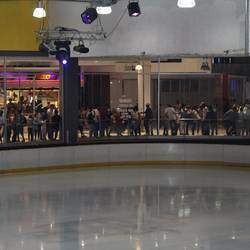 The Ice Rink is a thrilling playground, where you feel the rush of “I’m flyyyiinnng and I’m freee!” Or, take it slow, float and glide across the wide-open space. The best part is it doesn’t matter if you’re 4 years old or a wannabe figure skater or hockey player in training – you’re never too old or too young for all the skating action. Get your adrenalin pumping in a weekend public session, or just enjoy a quiet weekday morning of fun-filled exercise with the kids. Best party venue in town! Want the best party in town? 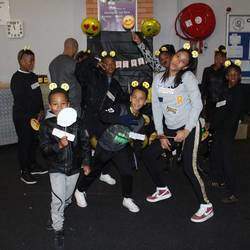 Take advantage of our group-booking rate and keep the kids entertained for hours, while they ‘jam’ to the latest tunes. And, for those looking for something a little more exclusive, book a private party for just you and up to 50, or more, of your closest friends and family! Best of all, it’s your choice to either bring your own catering or order from our party platter, party pack or beverage packages. 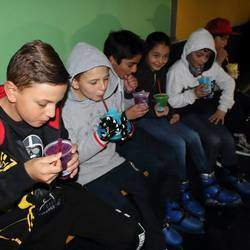 Our private parties can be customised to include a range of options, such as penguin skating aids (for the littler ones), your very own foam party, team fun and games on the ice, like broom ball or bubble soccer, and if music is your thing, we can arrange your very own DJ or silent disco headphone rentals. 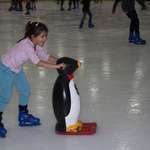 The Ice Rink has a wide range of activities on offer. 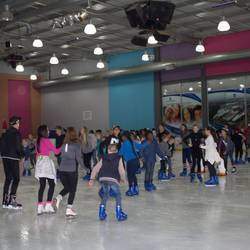 Kids of all ages (and even grown ups) can learn to skate at our skating academy. 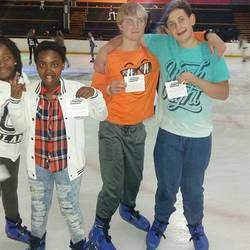 If ice hockey is your thing, join a local team and learn to play one of the fastest and most exciting team sports in the world; or learn how to execute those jumps and spins with our figure skating pros. We have just the team building activities for corporates and student groups…. 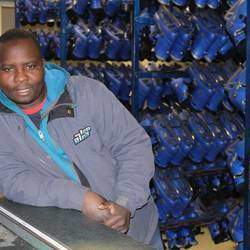 come down and play a game of broom ball – no skates, just takkies, brooms and a healthy dose of team spirit. You could also try our new bubble ball soccer on ice, if you dare! And for the little ones, join in the weekday fun at our KidzOnIce extra mural, offered directly through the ice rink or in partnership with nursery schools and our transport partner. 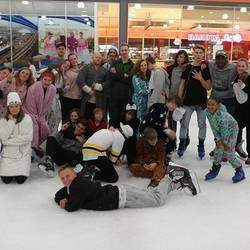 For the coolest fun around, the Ice Rink is the place to be! Come chill with us and perfect your spins, glides & slides.